An enormous burden would descend as I would groan and cry out for mercy. I knew something terrible was about to come to NYC and our nation. The Lord then asked me to take a team of intercessors and lay hands on the World Trade Center. Just a few months later terrorists would fly planes into those very buildings. I often wonder how intercession played a role in drawing the hearts of people who worked in that building to Jesus before the attacks or how lives were spared by them waking up late, getting stuck in traffic or calling in sick that day. After the towers came down, I was part of bringing in movie lights for rescue and recovery operations. A ministry happened to set up a prayer station next to our equipment truck and began to blast worship music that swept over the “Ground Zero.” The sound was a substance, it was like you could reach out and hang on to something, in a time where everything else was shaking. It changed the atmosphere, and it was a lesson I would never forget! In 2007 the Lord moved my wife Laura and I to Kansas City to birth CRI from the belly of the prayer movement. Along with training and mobilizing Crisis Response Missionaries we knew we were to bring worship and prayer right into disaster sites. It would be like Aaron bringing the sensor into the plague, the crisis would be lessened, and victims and volunteers would encounter God. The last few months we have felt a burden on this original call for CRI. 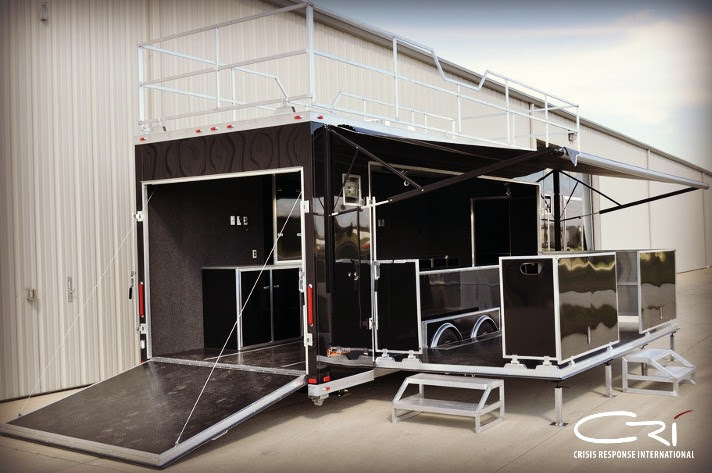 We knew we were to build a deployment trailer called “Mobile H.O.P.E.” a portable stage trailer for worship and prayer on deployment. Our intent is to provide a canopy of God’s presence over disaster-struck regions, an atmosphere where victims can receive ministry and CRI Responders can be refreshed on our base camp. Mobile H.O.P.E. will also deploy with intercessory “strike teams” in advance to vulnerable locations where a crisis is brewing, a hurricane is heading, a forest fire is spreading or civil unrest may take place. We believe that the crisis can be mitigated or averted altogether through worship and prayer! Last week at the Basic Training Camp, new trainees and Responders gave $21,700.00 – The entire Mobile H.O.P.E. trailer was paid for in one offering! We still need further funding for the sound equipment that goes inside of the trailer. We are calling forth prophetic intercessors, worshippers and watchmen to join us at the ATS in October to become “Crisis Mitigators” and be deployed as part of Mobile H.O.P.E. Matt Lockett is the co-founder of Dream Stream Company. 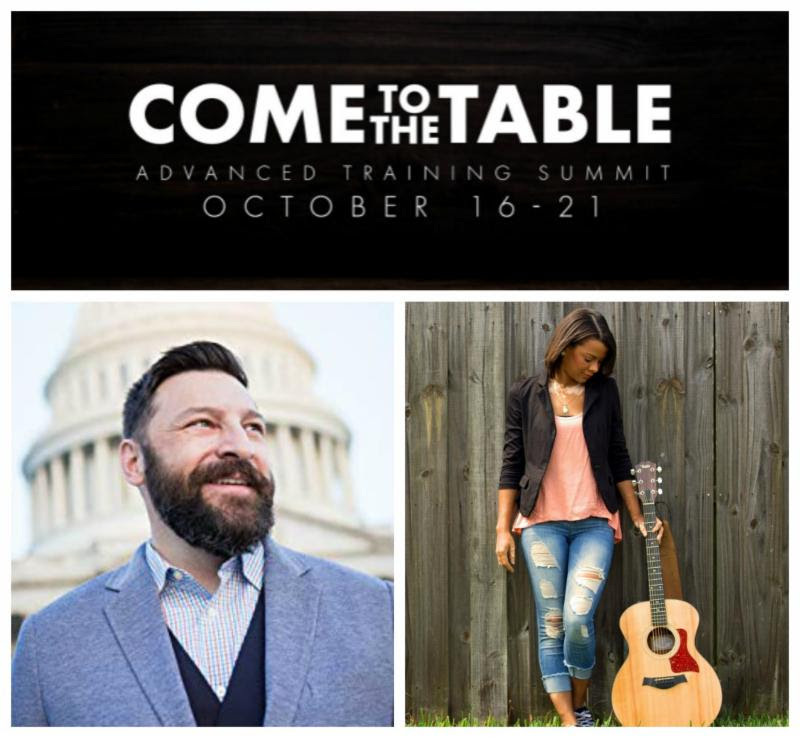 He is a teacher and speaker who is passionate about the topics of prayer, fasting, community, and government. He has served as a missionary in Washington, DC since 2005. As Executive Director of the Justice House of Prayer DC and Bound4Life, Matt oversees prayer on Capitol Hill and mobilizes intercession and activism across the nation and is a co-author of the new book, “The Dream King”. Meet Prophetic Worship Singer Jenny Weaver. Once a homeless drug addict, self-cutting Wiccan, Jenny is now a true worshipper and lover of God. Transformed by His renewing power, Jenny’s heart is to lead people into an encounter with the Holy Spirit that will transform them as well. Jenny believes that worship led in spirit and in truth with a pure heart and no limitations ushers in God’s glory, which invades the earth! It is Jenny’s desire to lead prophetic, spontaneous, high praise worship and release the song of Heaven into the hearts of man!